Today I had lunch at Zia’s in Kaneohe. 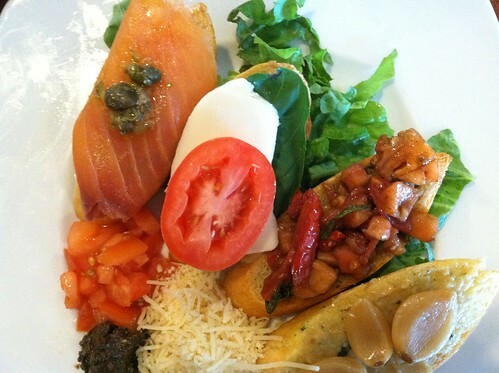 I ordered the Italian Bruchetta Sampler, which was four different types of bruchetta on garlic toast: Classic Tomato, roasted garlic, salmon and goat cheese, and caprese. They were all so yummy. 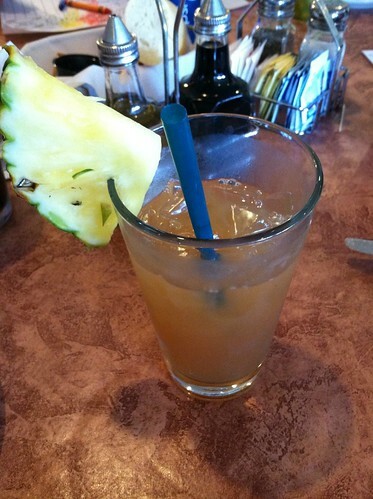 I also had some Plantation Iced Tea with my meal. This entry was posted in Food & Drinks by tairaxo. Bookmark the permalink. That looks super tasty! That is going to be inspiration for my lunch this afternoon! http://jeanpatch.blogspot.com leave a comment so I know you are following me back.